In Riviera Nayarit luxury is our nature, and our destination has managed to establish some of the most impressive properties linked to RCI, one of the most important vacation exchange networks in the world. Their call center sales leaders are being coached to promote our destination when they interact directly with users in their reservations system. 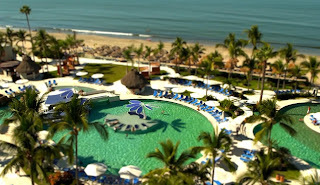 On May 19 and 21, approximately 300 sales agents from their central offices in Indianapolis and 150 from their call center in Salt Lake City will receive information on the competitive advantages of Riviera Nayarit, including its hotel offers, the activities that can be enjoyed here, and everything that gives this destination the name of Mexico’s Pacific Treasure, a place where luxury is combined with a privileged natural setting. The information will be presented in 20-minute training sessions, which will brief the agents on the news of our destination and will show them why it’s the largest growing destination in Mexico, taking the second place in number of Five Diamond hotels and the largest number of investments in this country, including the arrival of hotel chains like Iberostar in 2013. The marketing strategy being executed by the CVB of Riviera Nayarit with activities like this one with RCI follows the instructions set by the Governor for the People, Roberto Sandoval Castañeda, in order to improve the economy of all the people of Nayarit. RCI is the leading exchange vacation provider that uses timeshare properties to generate an innovative touristic experience. It started operating in 1974 and today has over 3,700 associated developments, with a base of around 3 million timeshare owners.